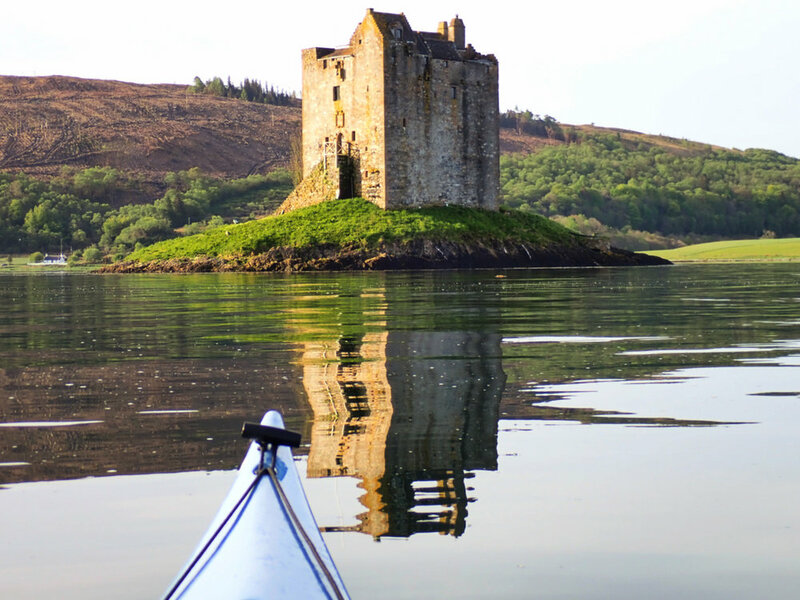 Undertaking the ‘Three Peaks by Kayak’ was on my kayaking wish list for many years. I had an attempt at this in 2009 but failed to complete it when my tent was torn in a gale on the Cumbrian coast. This year, 2018, I made another attempt and succeeded. 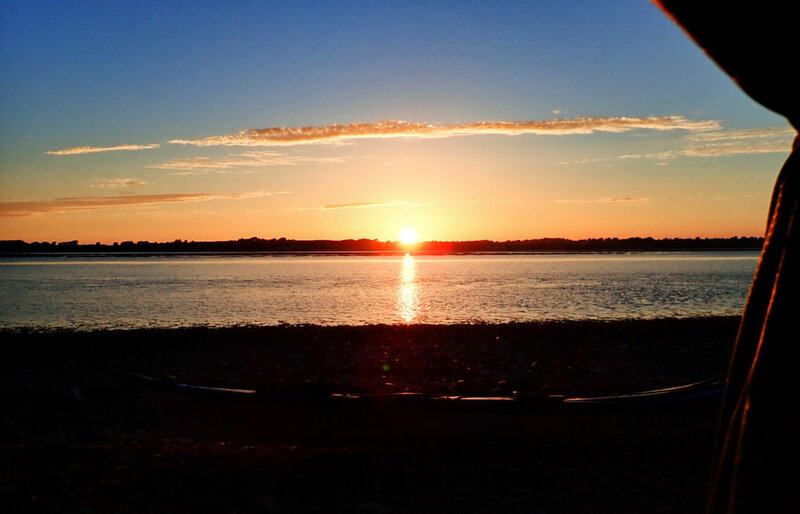 I chose to kayak from North to South. The reason for this was both one of economics and symbolism. It was easier and more cost effective to set off from Loch Eil than Aberdovey. 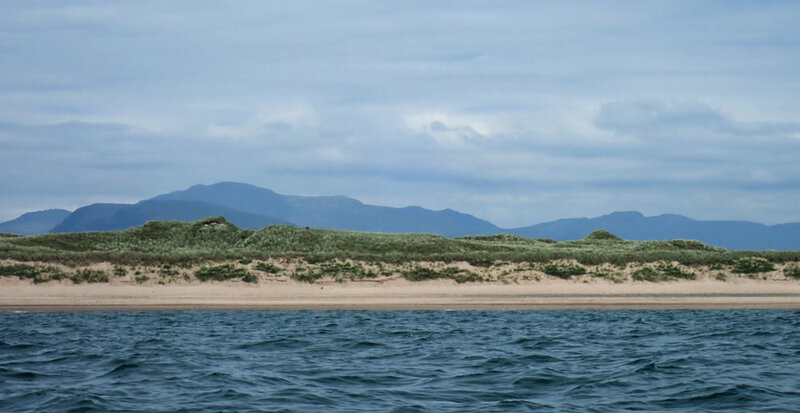 Also, I wanted to arrive in Aberdovey as my end point, because this is where I began my outdoor professional life with Outward Bound in 1985. 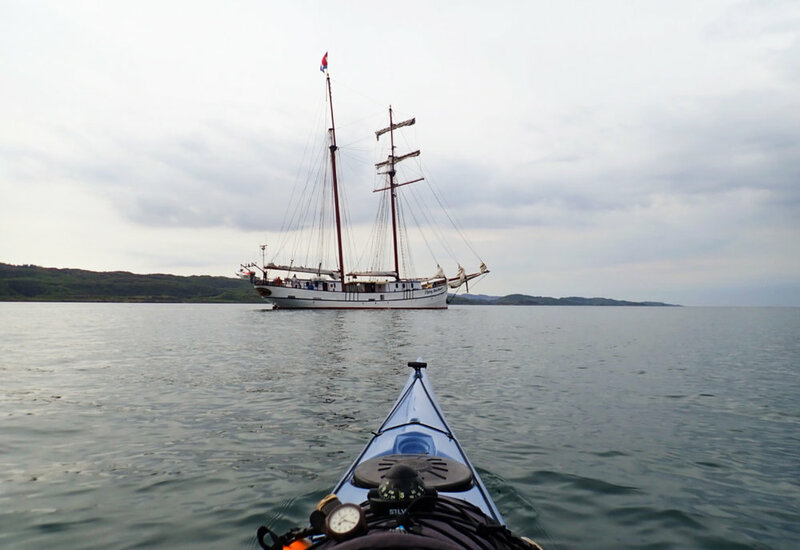 A primary purpose of this expedition was to raise funds for a small cancer charity called Odyssey. 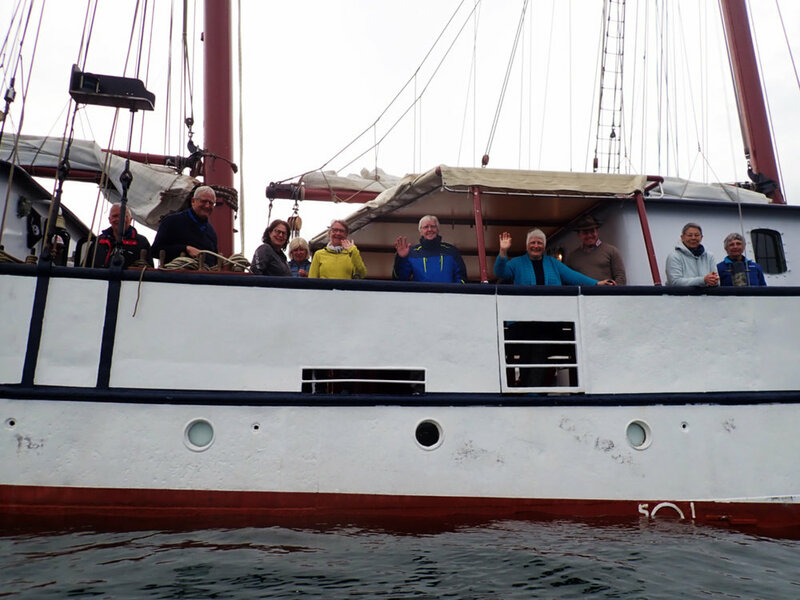 They provide inspirational outdoor courses for people who are being treated for cancer or have had the disease. 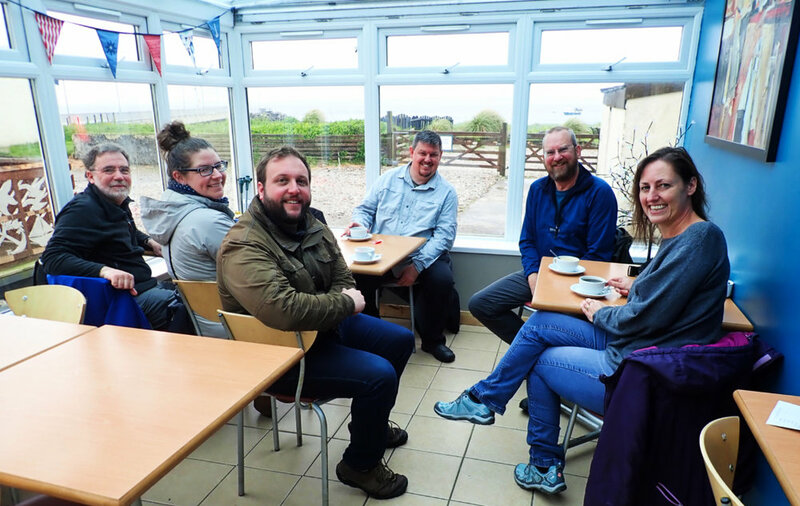 I have worked for them as an instructor on a number of their courses around the country and have enjoyed the privilege of witnessing the life changing outcomes of their programmes. 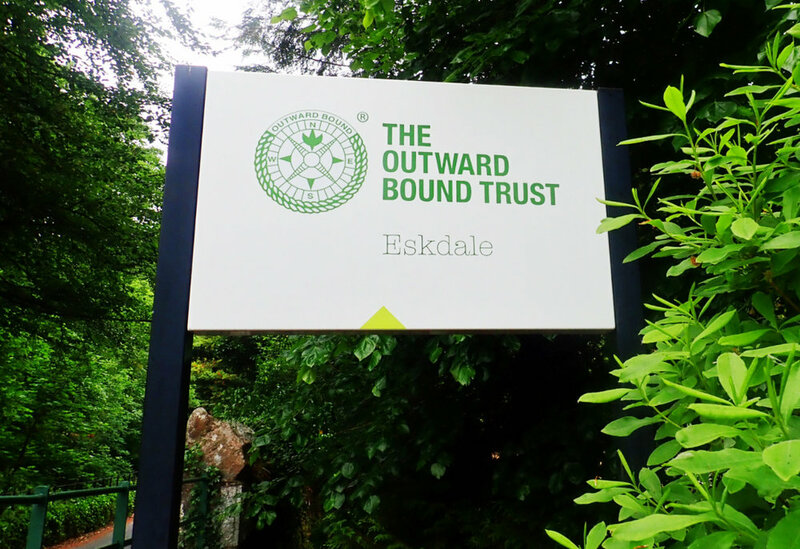 A back story to the journey was my connection to Outward Bound and this is why I chose to begin from the foreshore of Outward Bound Loch Eil, visit Eskdale Outward Bound en route and complete my adventure at Outward Bound Aberdovey. This was symbolically meaningful for me because I believe that it’s my experience working for Outward Bound which continues to inspire me as an outdoor adventurer. 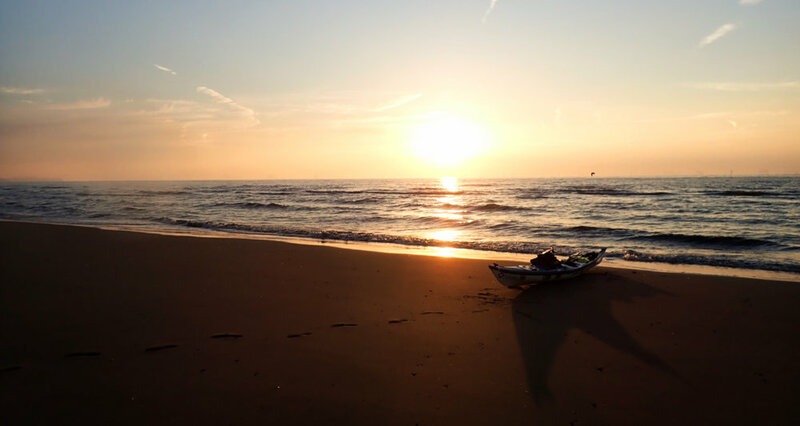 The eventual distance of this kayaking journey was 832 km. All of it was paddled solo and unsupported. The three mountain ascents were achieved under human powered effort from sea level back to sea level. 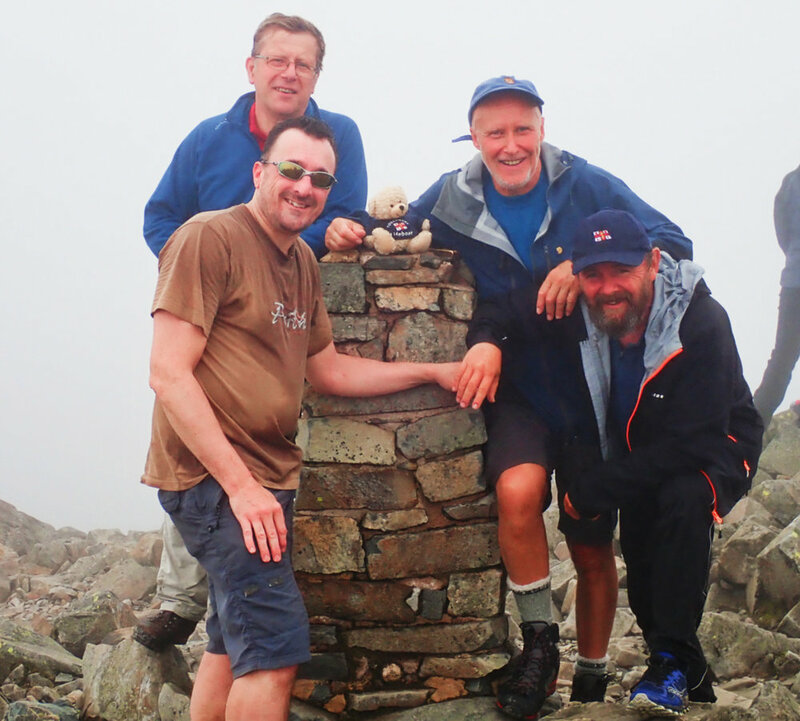 I used bikes to reach the feet of Scafell Pike and Snowdon respectively. It took me just under a month to complete the challenge. I only had three days off the water because of strong winds. In fact, the winds were my nemesis for much of my traverse of the Scottish coastline even though the weather its elf was sunny and warm. The strong easterlies gave me much to think about and to contend with, causing me to curtail plans and alter my route choices. My route essentially hugged the coastline from Fort William all the way to Aberdovey. 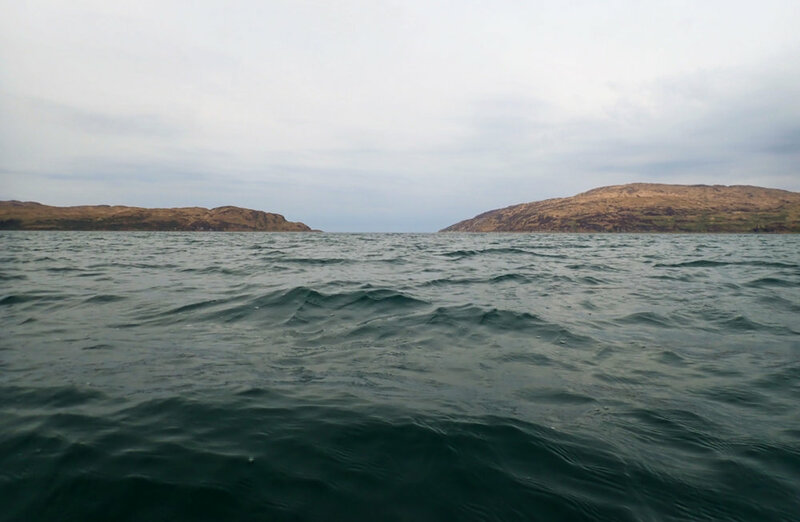 Planned open water crossings such as across the entrance of the Firth of Clyde and visiting the Isle of Man, did not happen. 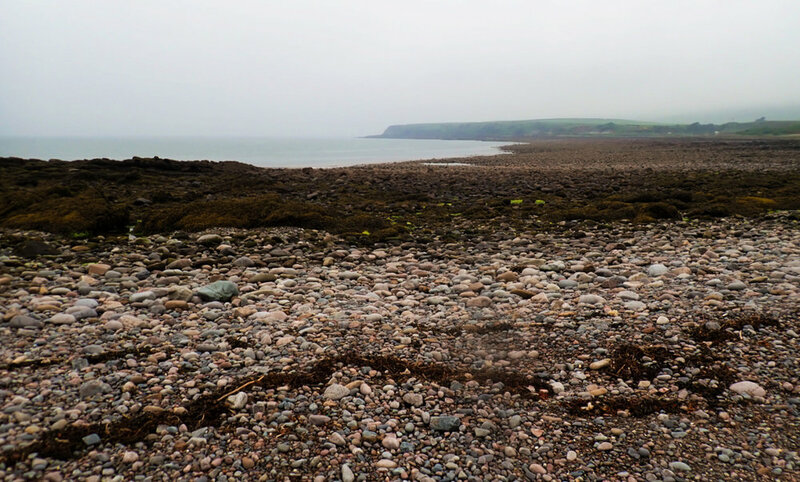 Instead, I crossed the Firth of Clyde from Kintyre via Ailsa Craig and reached the Cumbrian coast after paddling up into the Solway Firth and crossing to Silloth. 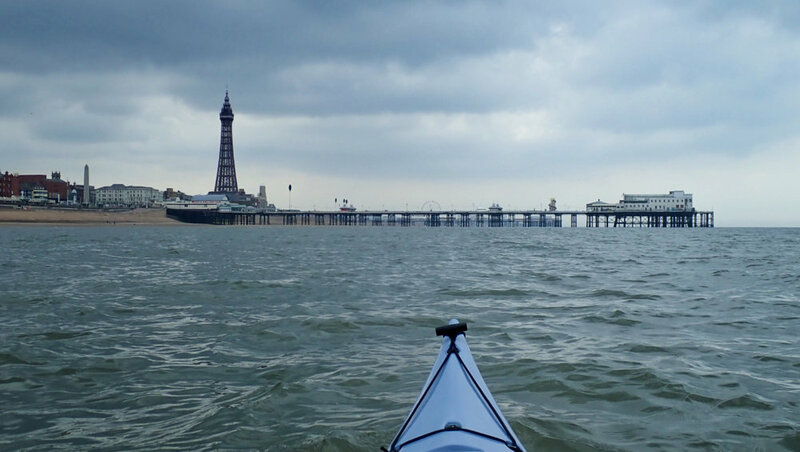 It was a disappointment not to paddle via the Isle of Man but the easterly winds would have prevented a safe crossing from the island to Cumbria. 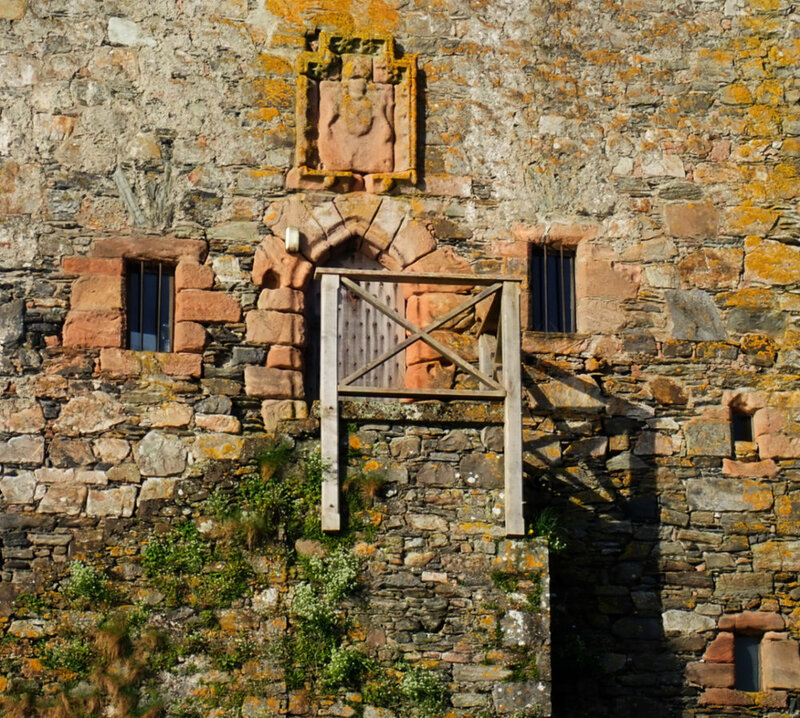 The major route challenges I faced were the tidal gates of the Mulls of Kintyre and Galloway, both with powerful tide races to contend with if I got my timings wrong. 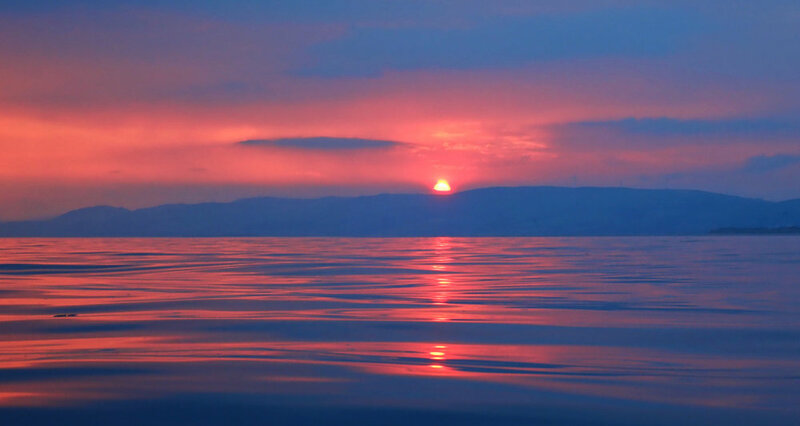 There was the crossing of the Firth of Clyde with its potential as a seaway for large shipping. Crossing Liverpool Bay was a concern for the same reason as well as navigating the myriad sand banks if I found myself there at low water. 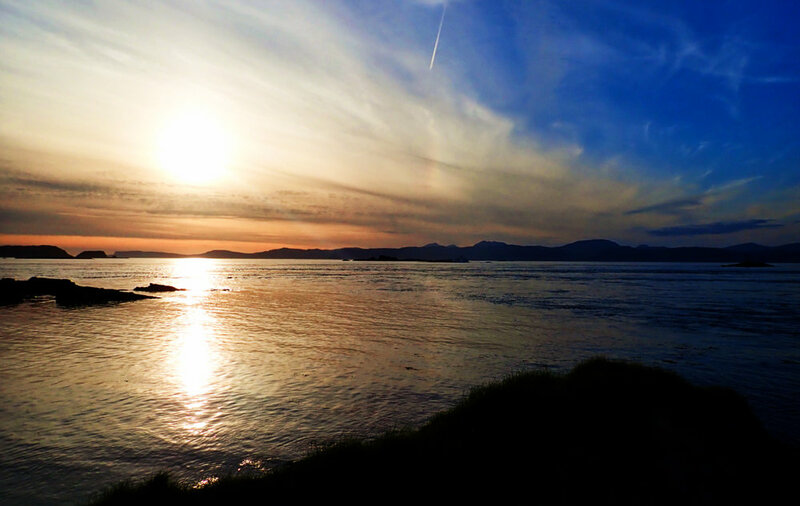 Finally, there was the Lleyn Peninsula, again a major tidal gate with a powerful tide race. 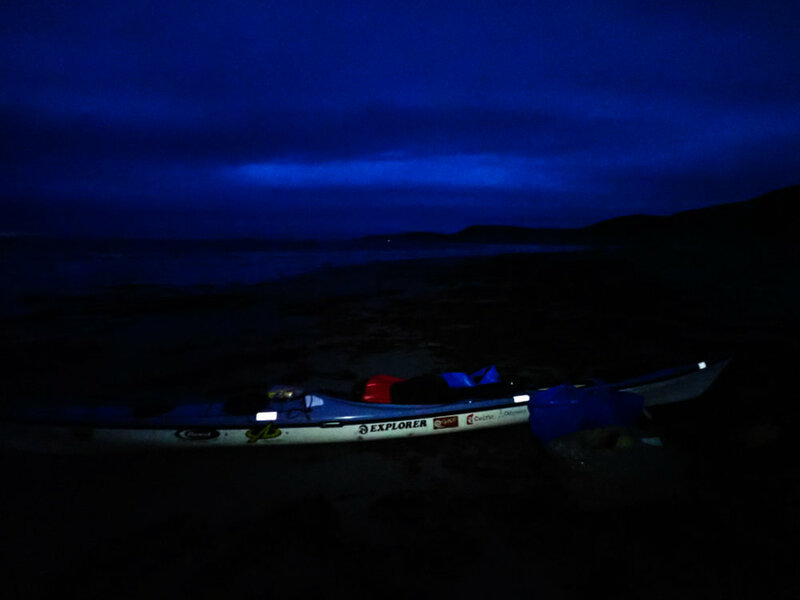 Generally though, I considered the coastline relatively benign in terms of technical challenge and I wasn’t concerned about paddling solo along any of it. 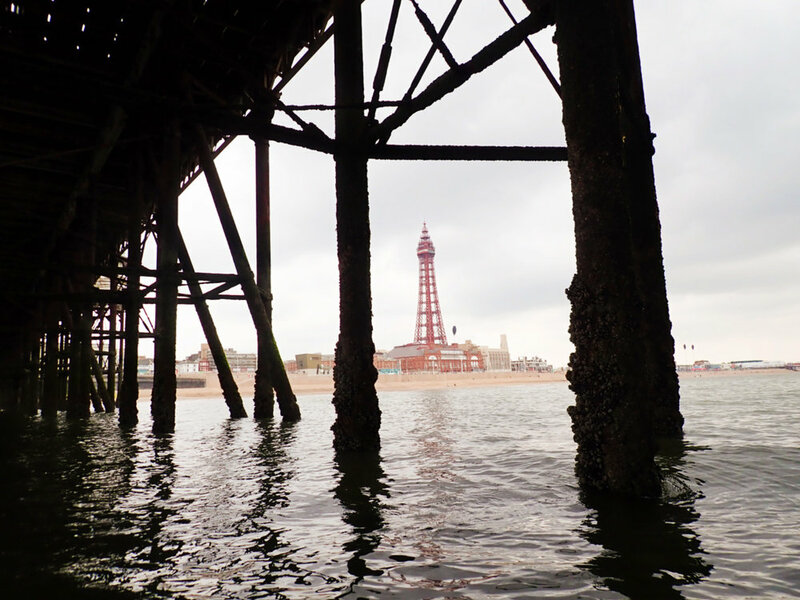 I simply had to make sure that I worked out the tide times well enough to avoid any rough water. The kayaking passed off smoothly and without incident. 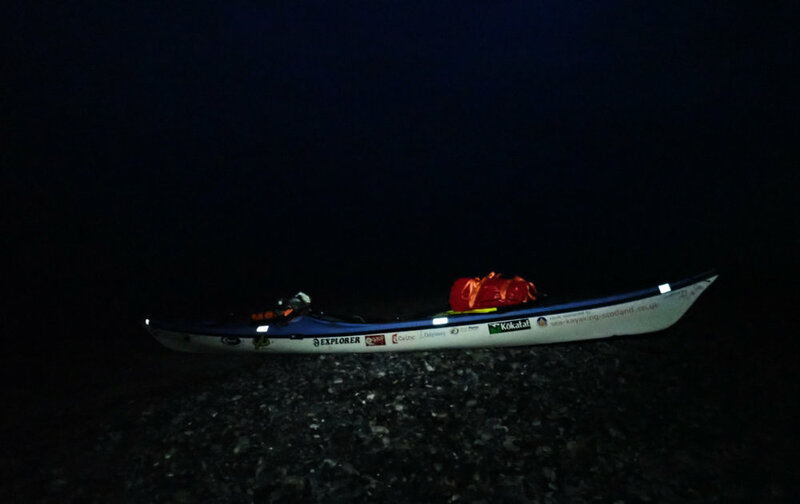 I was pleased with my prudence and attention to detail which enabled me to maintain steady progress, despite feeling frustrated in the first week by the powerful winds. 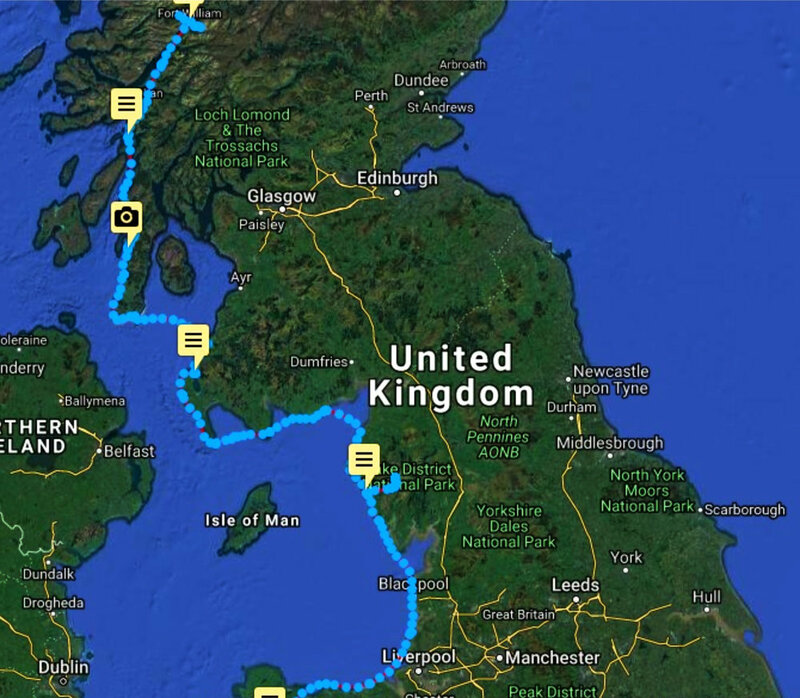 As predicted, the Scottish coastline was where I paddled hard to make headway. 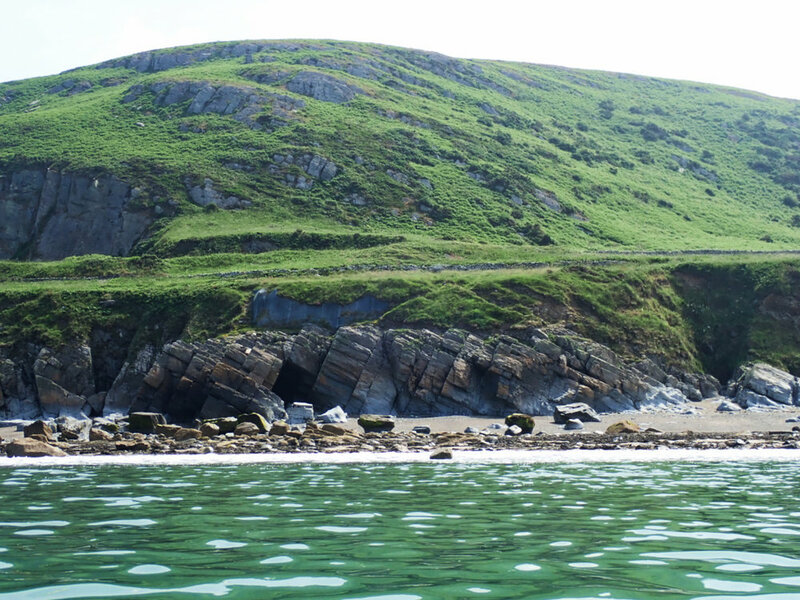 Once I reached England and Wales, progress was enhanced by the less challenging coastline and tidal conditions. 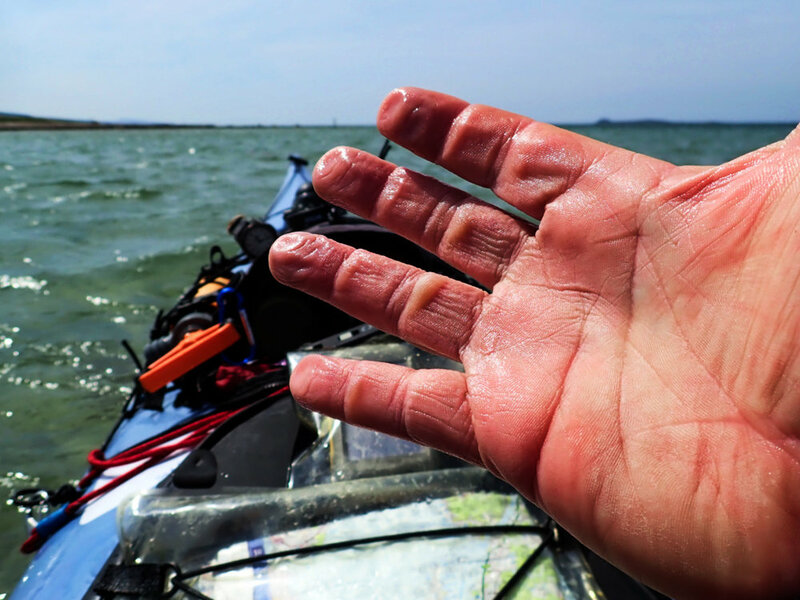 Because this was a personal challenge, I set myself a tough regime of kayaking long hours with no breaks, to cover as much ground as I could each day. This was not a journey to dawdle and potter along the coast. 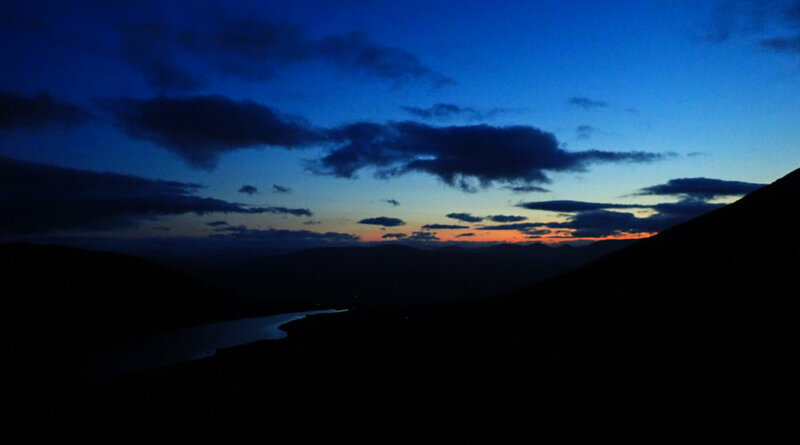 However, it wasn’t difficult to be awed by the scenery and the wildlife I encountered. 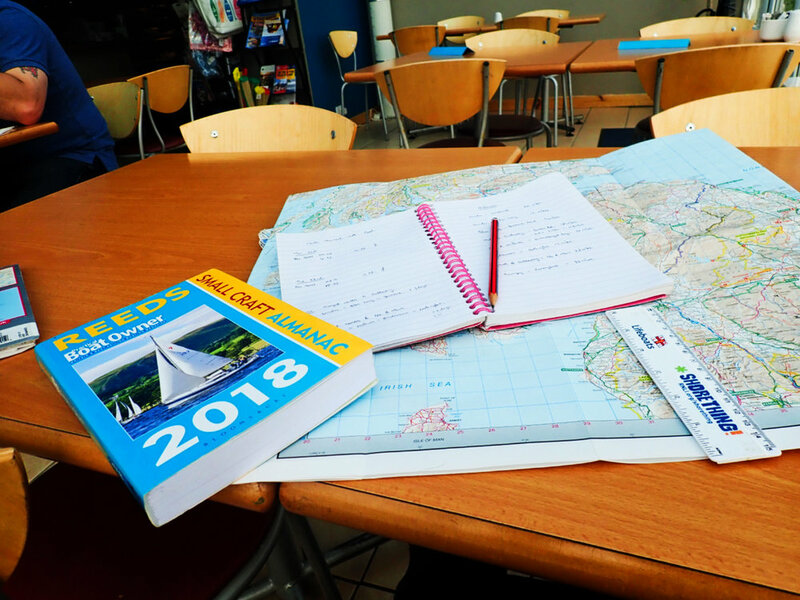 I enjoyed a number of intimate encounters with wildlife, including a large otter with grey whiskers wandering up to me at 4am on the isle of Luing, while I was sitting in the front of my tent enjoying a coffee. 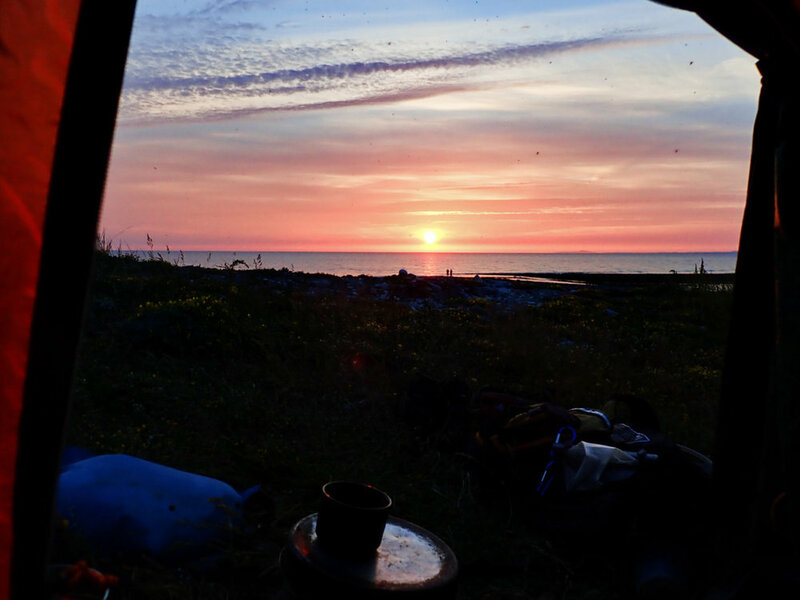 I sat stock still as it peered into my rather untidy inner tent before it looked up at me and lolloped off down to the sea. Arriving at the iconic island of Ailsa Craig in the Firth of Clyde was another one of those wonderful wildlife moments. 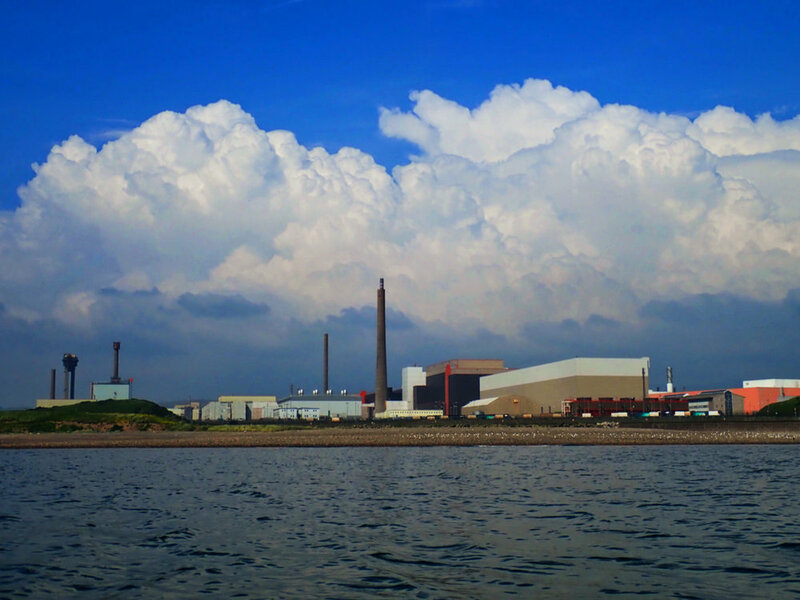 The island, once a busy stone quarry, is now given over to nature. Here the gannets thrive in their thousands along with puffins and myriad other sea birds. 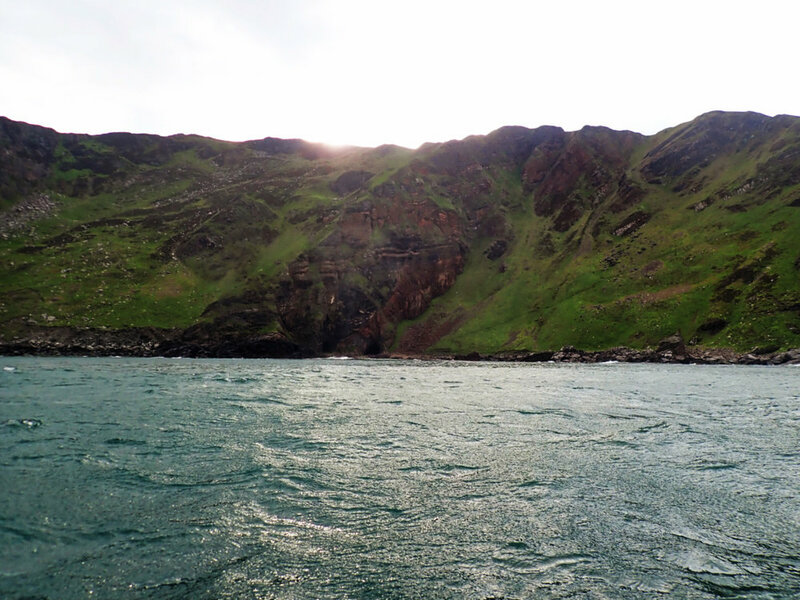 As I paddled towards the looming volcanic plug, it felt as if I was being greeted by squadrons of gannets flying out close over my head. The flowers on the island were truly wonderful and coming across a large basking slow worm was a particular highlight. It wasn’t just encounters with the wild which I enjoyed. I met a number of people who through their acts of kindness, enhanced my experience. 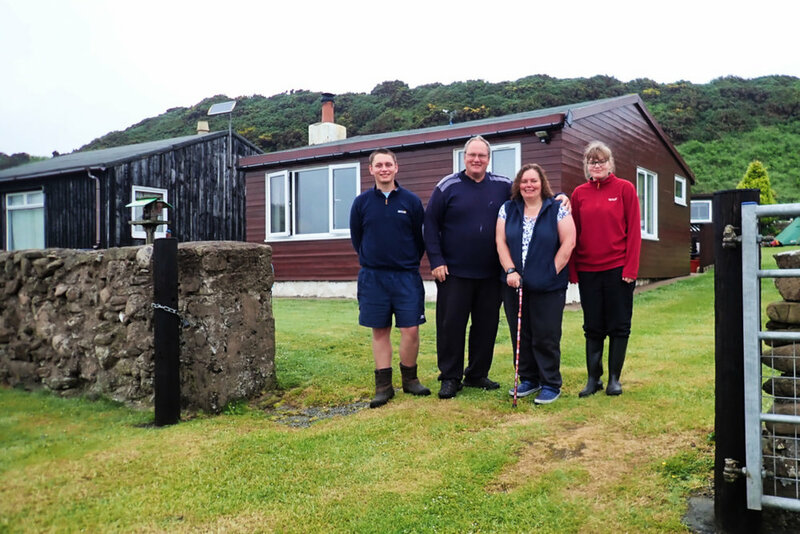 I was provided with a lift into and back from Stranraer, taken in and given a meal in the Solway Firth when the weather was terrible and I needed this most, and provided with sustenance by a kindly pub landlord because of the charitable nature of my venture. I also met many friends along the way who very kindly kept me afloat with whisky, fruit pies, much needed stove fuel and delicious pies. The mountains were not hugely demanding for me. 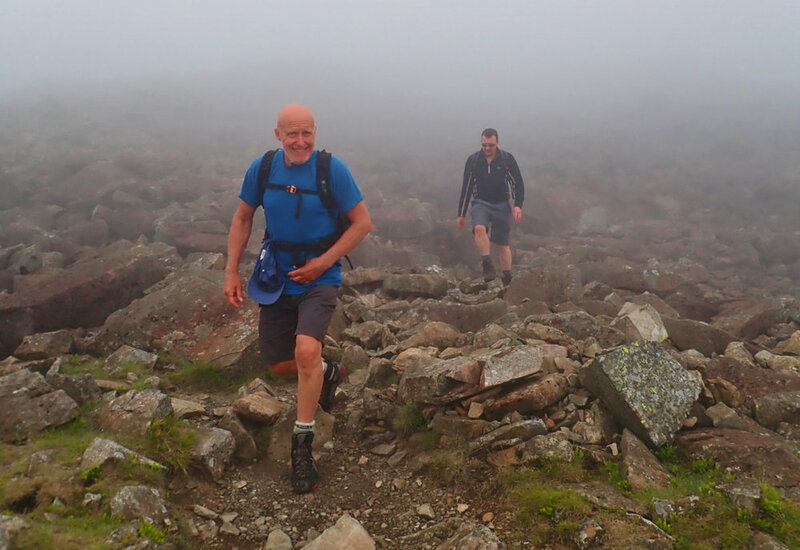 Thankfully, I’m blessed with the ability to doggedly endure physical challenge and so, while they were long days, I enjoyed ascending each of the three mountains. 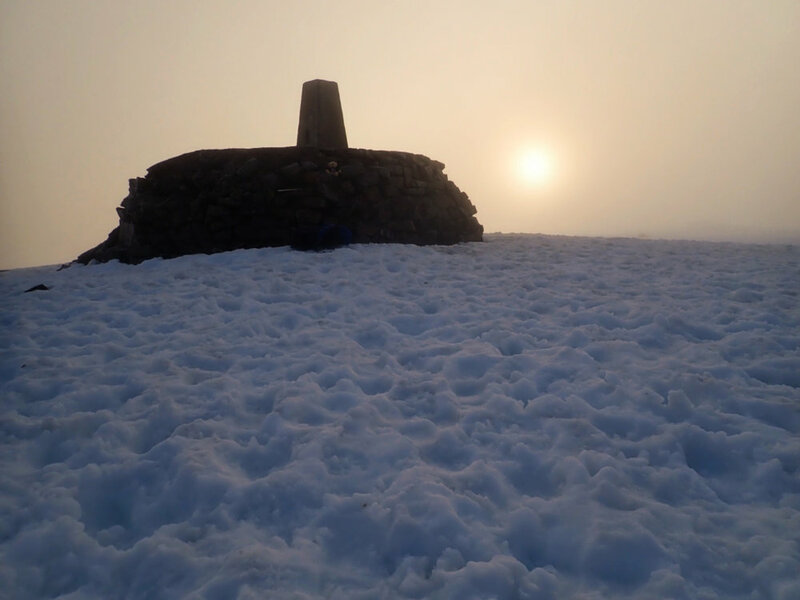 I climbed Ben Nevis in the small hours of the night to arrive at the summit at five in the morning to greet the sunrise. 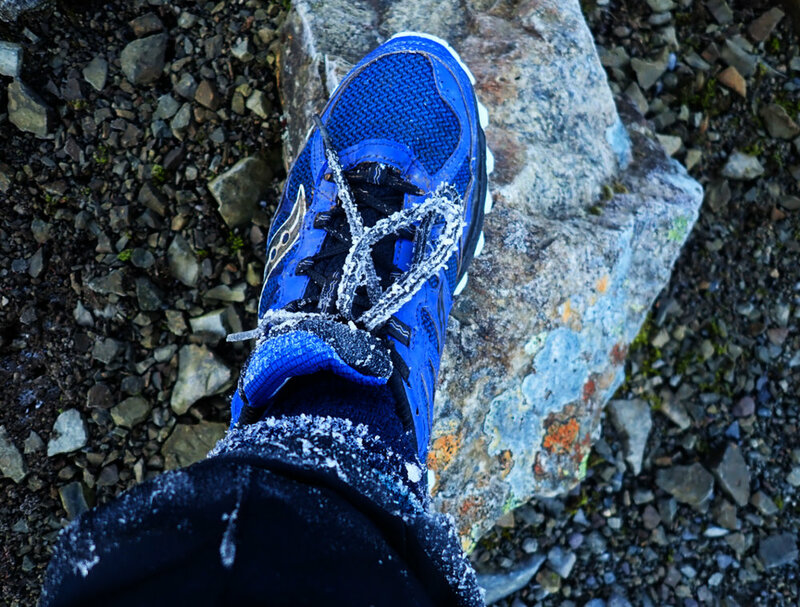 It was freezing cold up there with plenty of snow and ice for the last 300 metres. Scafell Pike involved a long cycle ride from the Drigg dunes where I was camped, up the Esk Valley to the Eskdale Youth Hostel where I met up with my cousin Simon and the renowned mountaineer Alan Hinkes. 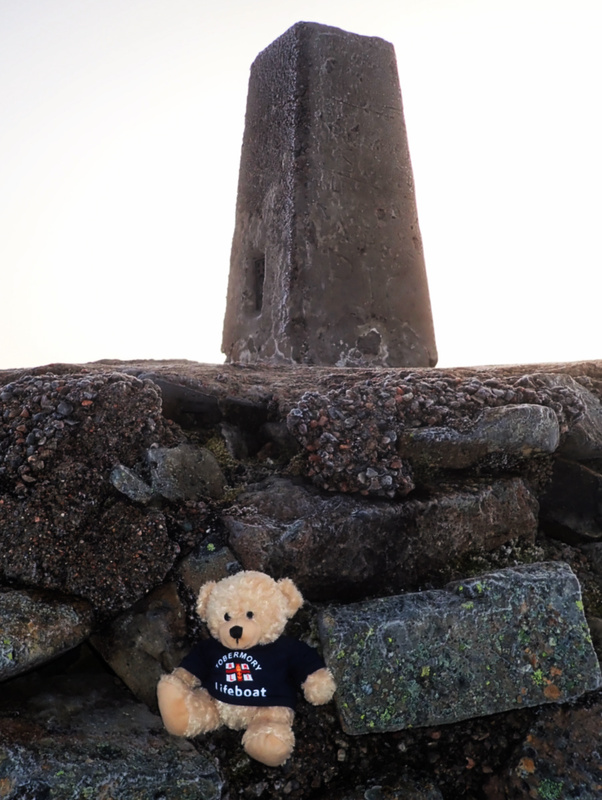 Alan had kindly agreed to be a nominal patron for my adventure and gave up his time to climb the Lake District mountain with me. It was a great day out spent with good company. 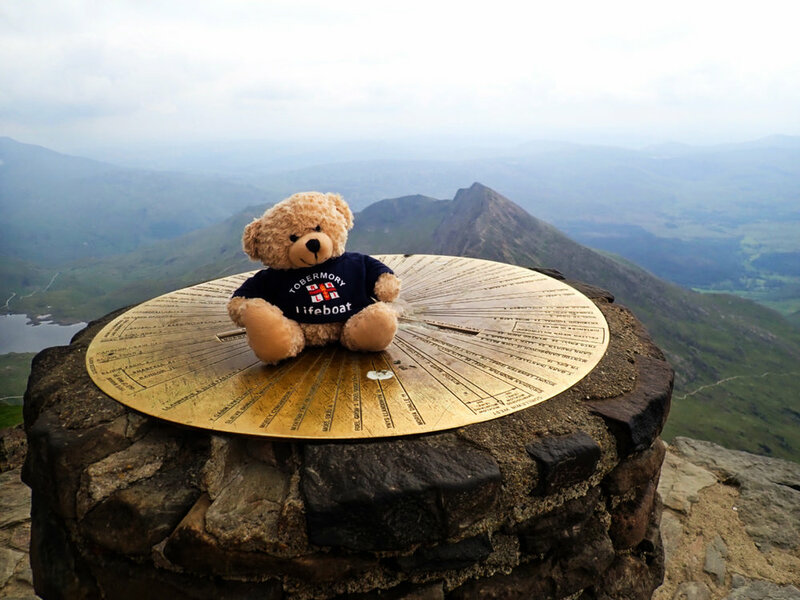 Snowdon was the fastest ascent of them all when I managed to reach the summit in two and a half hours after setting off up the Rhy Ddu path. I had cycled in from my camp at Pontllyfni on the coast. 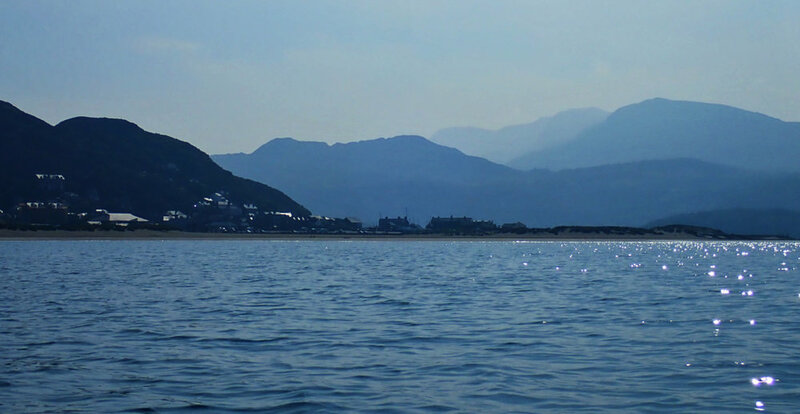 After completing Snowdon I continued kayaking towards Aberdovey, my chosen end point for this undertaking. 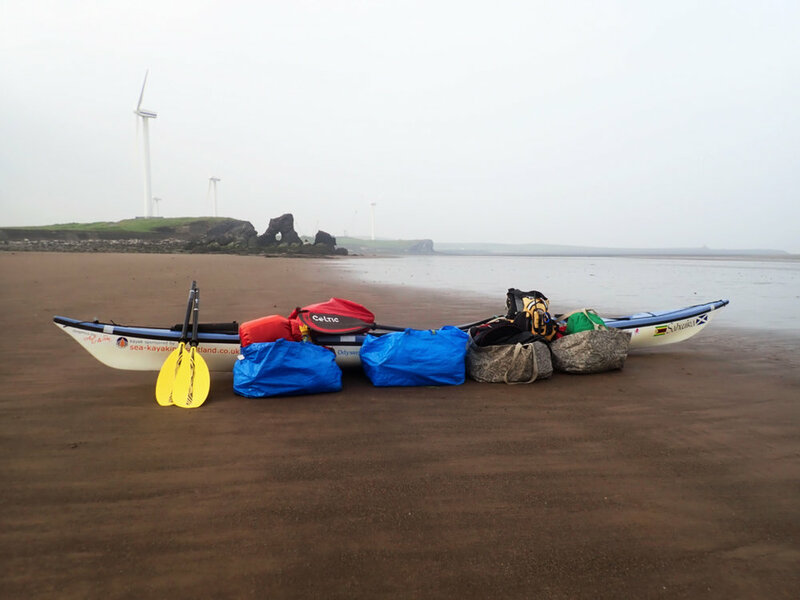 I set a personal record of kayaking non-stop from Pontllyfni to Shell Island, a distance of eighty six kilometres! From Shell Island it was a short distance down a familiar coastline to Aberdovey where I was warmly greeted by friends and members of the Aberdovey R.N.L.I. Lifeboat crew. So ended a fine adventure. I have so far raised over £2000 for Odyssey. The Just Giving fundraising page remains open and you can make a donation - here - if you wish. Thank you. 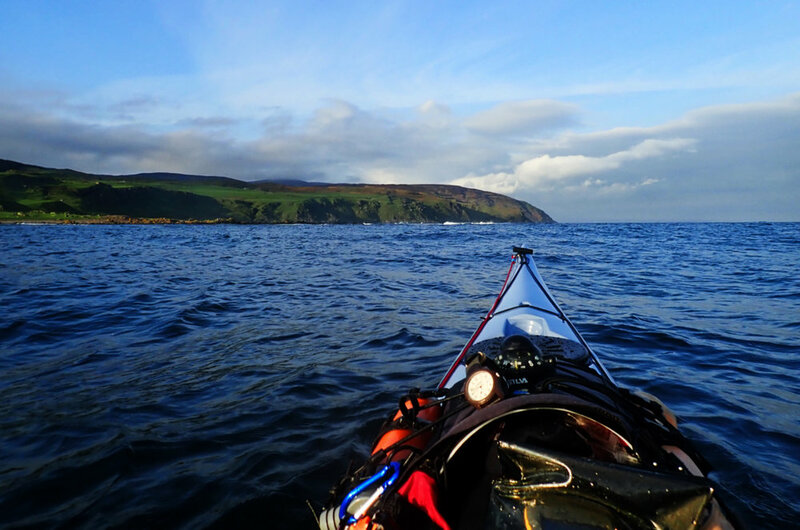 Sea Kayaking Scotland for the assistance in purchasing my NDK Explorer sea kayak for my 2015 journey and which has stood the test of time and distance. Gael Force Marine for the Icom M25 VHF radio and their unswerving support. Reed Chillcheater gave me a spray deck for my Scottish Islands Peaks journey and this has stood the test of time. YB Tracking assisted me with my purchase of my YB Tracker and gave me free credits. Art and Sea provided me with graphics for my 2015 trip and these have stood the test of time very well. Leonie also provided me with new sponsorship graphics and deck slates for this adventure. Celtic Paddles provided me with my paddles for my 2015 adventure and these were still going strong for this one too.